Kurt Fearnley, AO, has achieved more in his short life than most of us can ever hope to in several. A much-celebrated Paralympic and Commonwealth Games gold, silver and bronze medallist, Kurt is one of Australia’s most revered athletes and if you think we didn’t include ‘Paralympic’ to that noun by accident, you’d be grossly mistaken. Kurt Fearnley, AO, has achieved more in his short life than most of us can ever hope to in several. A much-celebrated Paralympic and Commonwealth Games gold, silver and bronze medallist, Kurt is one of Australia’s most revered athletes and if you think we didn’t include ‘Paralympic’ to that noun by accident, you’d be grossly mistaken. 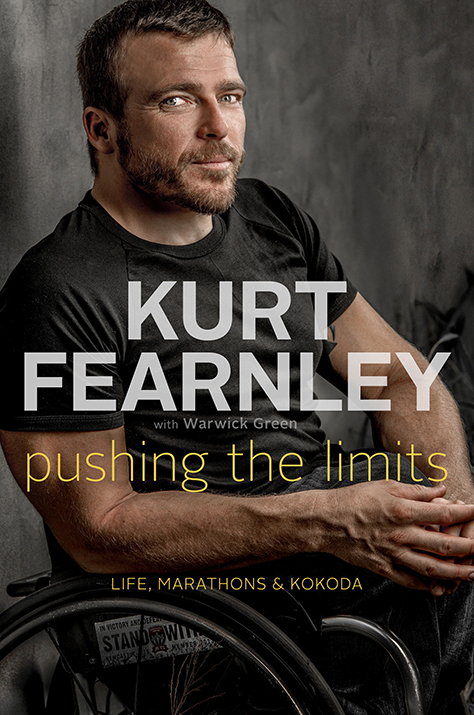 A winner in sport and in life, Kurt Fearnley will not – and never has been – defined by his physical impediment. His long list of achievements – which includes completing the gruelling 96km-long Kokoda Trail in Papua New Guinea by crawling along – is certainly impressive enough yet meet the man in person and you’ll no-doubt be bowled over by his incredibly positive attitude towards life and his incessant desire to enjoy every single moment of it. That is the truly impressive stuff. It’s as if the wheelchair is a simple afterthought to the man; a companion which has definitely shaped the course of his life yet certainly not the essence of it. Calling Fearnley ‘inspiring’ seems a preposterous understatement, to be honest. If it were up to us, we’d replace the definition of the word in the Oxford English dictionary with a photo of Kurt and a short bio. An outstanding example of the strength of the human spirit and personified proof that determination, hard work and (perhaps even more importantly) an incredibly positive support system are the keys to soaring through life in spite of physical impediments, Kurt Fearnley is a devoted advocate for people with disabilities and has been on the receiving end of countless recognitions due to his extensive work with dedicated charities. His desire to inspire, encourage and give back is, by far, Fearnley’s most admiring attributes. Born with a congenital disorder on March 23rd 1981, Kurt Fearnley was not expected to live very long and stunned doctors by not only surviving but thriving in his hometown of Carcoar on the central western region of NSW. Surrounded by an incredibly supportive family (Kurt is the youngest of five) and an exceptionally inclusive community – whom Kurt credits with gifting him endless encouragement – he was active in sports from an early age and, by 17, had become a professional wheelchair racer. Moving to Sydney to further his education and sporting career, Fearnley earned a Bachelor’s Degree in Human Movement and took his competitive sporting career to soaring heights. 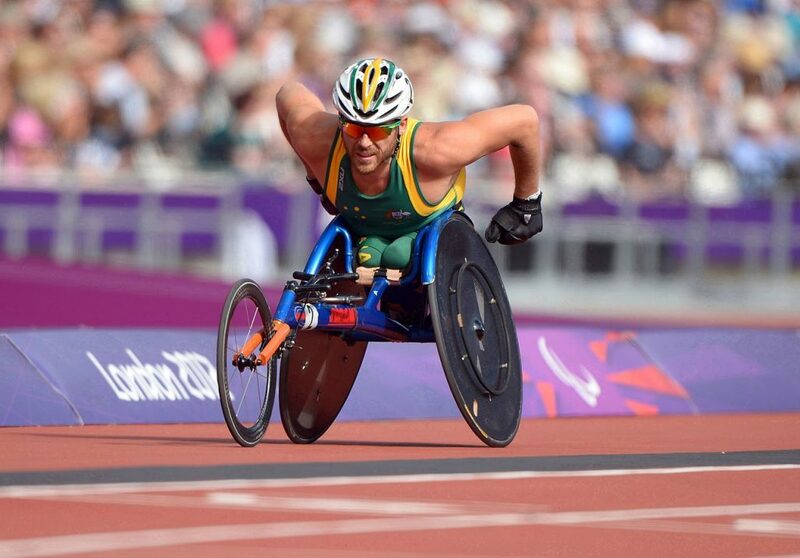 Between 2004 and April, 2018, Kurt Fearnley bagged three gold, seven silver and three bronze Paralympic Games medals, four gold and one bronze Athletics World Championships medals, as well as two gold and two silver Commonwealth Games medals, in an array of racing disciplines including marathon, 500, 800 and 1500m races and 4 x 100m relay. Yes, one gets exhausted just reading that. Kurt’s latest successes were at the 2018 Gold Coast Commonwealth Games back in April, where he took home one gold and one silver medal. He’s won over 20 marathons all over the world during his career, including five New York Marathons. 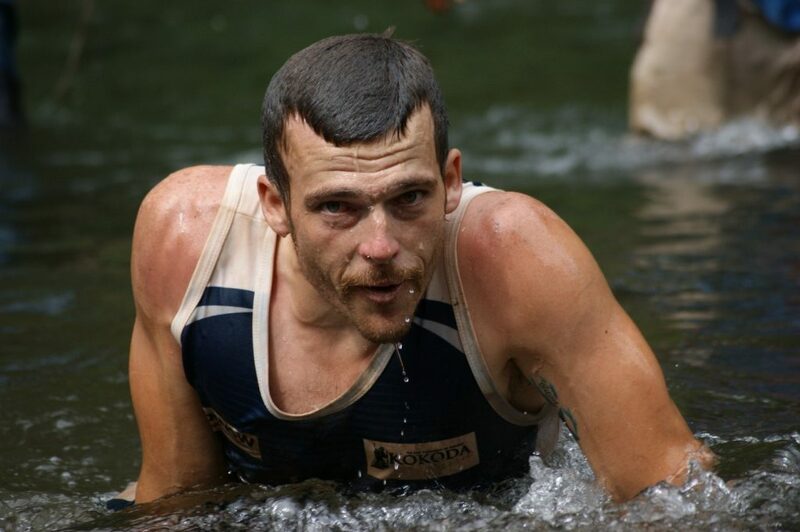 Married with two children and living in Newcastle on the NSW coast, Fearnley published his autobiography ‘Pushing the Limits: Life, Marathon and Kokoda’ in 2014. A touching and totally engrossing read, Pushing the Limits is a thought-provoking reflection of Kurt’s life, upbringing and personal determination. In parts, the book is an ode to a family who became, metaphorically speaking, his legs. With a family like that, there was simply nothing this guy couldn’t achieve. In others, however, it’s Kurt’s drive to succeed at his chosen calling that inspires most. His incredible dreams – which he fulfilled – are a wakeup call to us all, to make the most of life, to dream big and to, at the very least, try. The boy from Carcoar was raised to believe he could do anything. Overwhelming, humbling but also educational and inspiring (there’s that word again) Pushing the Limits is as impressive as the man behind the words and forces a shift in the way one thinks of people with physical or any other kind of disabilities. 2018 Kurt becomes the first Paralympian to win Sport Australia Hall of Fame’s Don Award. The Don Award is presented annually to the sportsperson representing Australia who has most inspired the the nation. This award has never been received, to date, by a Paralympian, marking Kurt as Australia’s first. Kurt was Incredibly humbled by the award, recognising hope as the inspiration for the birth of wheelchair racing and that the Paralympic movement is a jewel within the sporting crown, offering athletes the ability to share beauty and strength in this perceived imperfection. He mentioned that Sir Donald Bradman once said that Athletes who receive recognition also have a duty to man kind and that he is honoured to receive this recognition. His speech is humble, and moving and a must see, surely one day there will be a statue in this man’s honour. There really isn’t much Fearnley does without a purpose, Kurt will be Chimu’s most illustrious guest aboard a fundraising expedition cruise to Antarctica, aptly called Antarctica Empowered, this will set off from Ushuaia, at the very southern tip of South America, on the 21st of February 2020. On this unique fundraising journey, Kurt will travel to the ends of the world on a mission to raise funds to support education for people with disabilities living in marginalised communities. An utterly stunning and very unique continent, Antarctica is a place where no society exists, where you’ll find no barriers boxing people in and where people have the freedom to just be. A wonderfully apt stage to springboard awareness and support those with disabilities, Antarctica is a magical place to discover at any time, let alone when travelling there, alongside Kurt Fearnley, on such an important mission. If visiting Antarctica has always been at the very top of your life’s wish-list and travelling with a purpose ticks all your boxes, then join us – and Kurt Fearnley, AO – on this incredible, once-in-a-lifetime experience. This 11-day cruise takes you from Ushuaia, across the Drake Passage to discover the wonders of the Antarctic Peninsula. 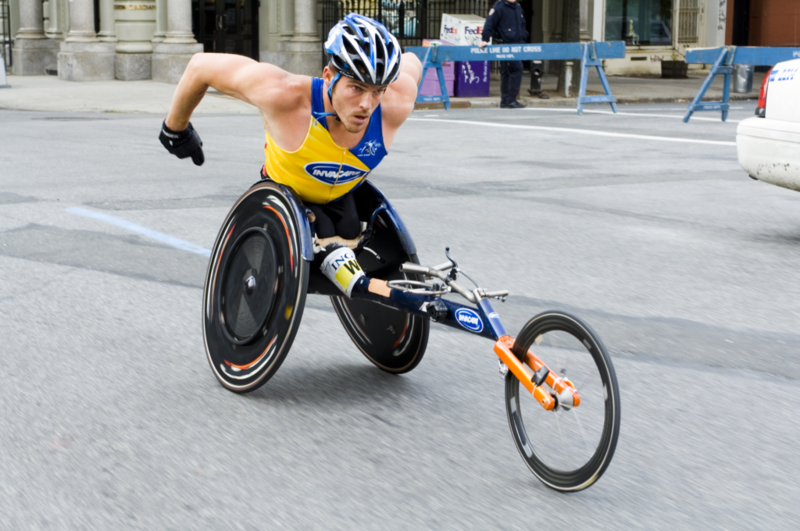 On board will be one of Australia's greats, Kurt Fearnley.